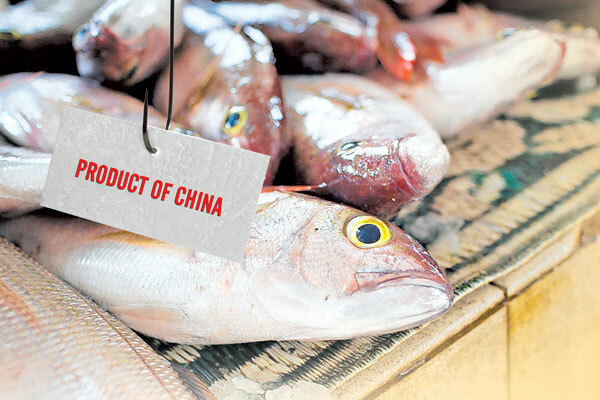 Chinese Fish in Kenya: Kenya imported fish worth Sh. 1.7 billion in year 2018. This is according to new data from the State Department of Fisheries. The data shows that Kenya imported 22,362 tonnes of fish mainly from China, up from 19,127 tonnes worth Sh. 1.5 billion fish that was imported in 2017. Further, according to the Kenya National Bureau of Statistics (KNBS), the country spent $22.17 million on the fish imports in the first 11 months of 2017 from $10.2 million the previous year, and $6.24 million in 2015. Frozen fish, including tilapia and mackerel, was the highest imported fish stock from China, at more than 19,000 tonnes. The Chinese imports has seen prices of local fisheries go down. A kilo of tuna normally sells for Sh300 but that has now gone down to Sh. 100. In February last year, then Industrialisation Cabinet Secretary Adan Mohammed defended these imports saying that they were as a result of low local production and growing demand. “We only import fish to fill the gap in supply. We don’t necessarily ban imports but we make sure that importers pay the necessary duties and levies as they are easing the local shortage,” Mr. Mohamed said. Ling Wang, the executive vice president of China’s largest tilapia exporter Baiyang Investment Group was reported last year saying that they started supplying fish to Kenya in 2014, but the volumes have been too low to be profitable. “Although we know Kenya is a big market, our export percentage to the country is still very small. We export 10 containers annually to Kenya, yet our total export volumes to the world sits at 2,000 containers. We really do not make profits selling to Kenya. All we are doing is to make inroads in this market so that we can upscale in the short term to profitable levels,” said Ms Wang.